We caught up with SAI Ambassador Kirsten, who took some time to answer questions about her time in Rome. EAT! One of the best things to do in Rome! I got to eat the most amazing pasta and gelato. It was always fun for me to go out exploring and try out different things in little restaurants I stumbled upon all over. 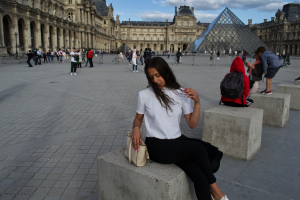 Candid picture in front of the Louvre Museum in Paris. PACK LIGHT! I traveled to Europe with three suitcases, a carry-on and backpack and in retrospect I can tell you that it was TOO MUCH. I did not use everything that I brought and it was a waste of space as I could not buy a lot of things from places I visited. It was very inconvenient and I wish I had packed less things. It was extremely hard to carry all my things alone. 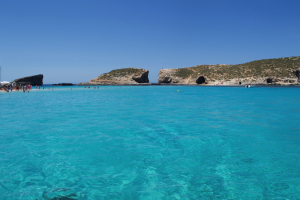 Crystal clear beaches in the Blue Lagoon in Malta. Be open. Do not be afraid to try new things or talk to new people. That is what this experience is all about. Try out different foods even if you do not like them. Befriend people who are not like you, you learn the most from them. Visit as much as you can and get out of your comfort zone, you won’t regret it. Also when planning trips, do a lot of research; consider all your different options and don’t go for the first one you see as there is probably a cheaper way. Spent a weekend in Malta with a few friends. This picture was taken on the island of Gozo. My experience taught me that there is so much to see and discover. There is not a dull place in the world. Even the smallest towns had amazing history and great things to see. So get out there and visit any place that you can, known or not, you will learn something. 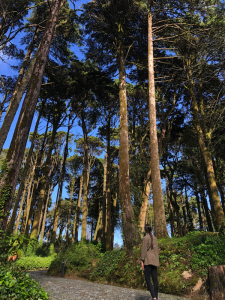 Wandering in the Pena Park in Sintra, Portugal. Truly magical. Take a class if you can and practice talking to people in the streets. If you want to ask questions or directions, ask in the country’s language and not English. Try to read in the language as well and look up any words that you don’t know. 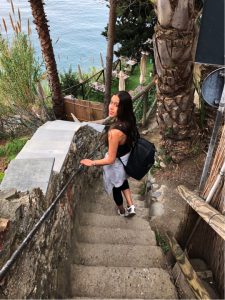 Kirsten was a spring 2018 SAI Rome student from the University of Tampa.